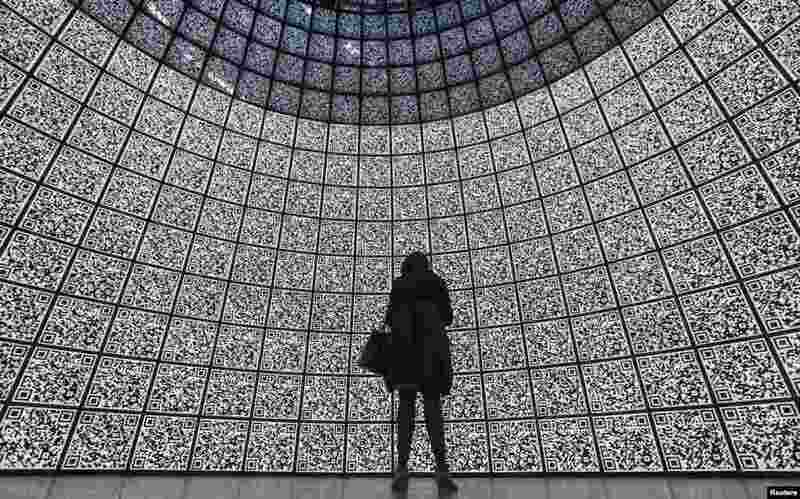 1 A visitor stands in front of QR-codes information panels during a ceremony to open an information showroom dedicated to the Zaryadye park project in central Moscow, Russia. The showroom, shaped as a dome which houses exhibition halls covered with QR-codes information panels and displaying digital illustration of the project, was opened by Moscow's Mayor Sergei Sobyanin on the site of the future park in a few minutes walk distance from Red Square and the Kremlin, according to organizers. 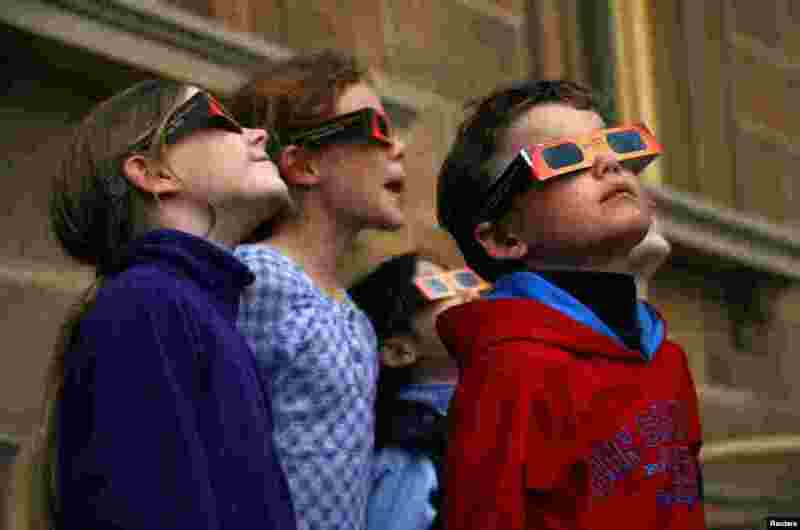 2 Children wear protective glasses as they try to see a partial solar eclipse from Sydney's Observatory Hill, Australia. 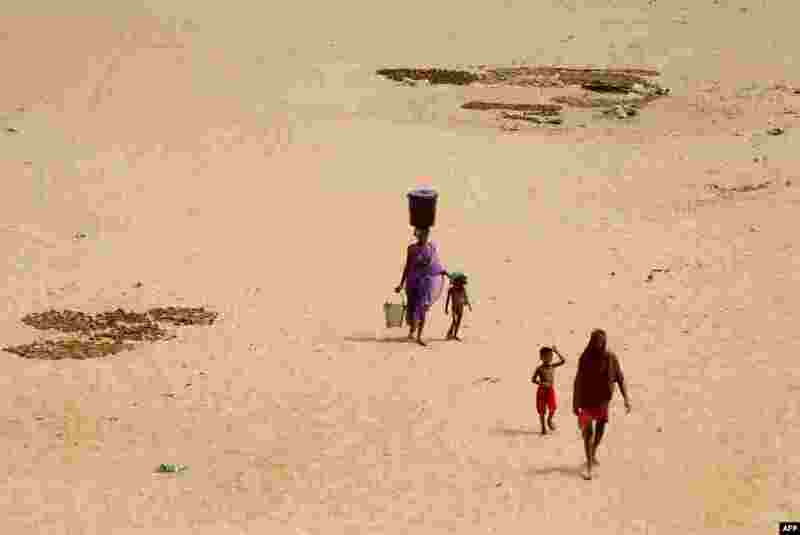 3 An Indian woman carries a container of drinking water on her head and holds her child’s hand as they walk on the hot sand of the Daya River in the heat on the outskirts of eastern Bhubaneswar. Many of the Indian cities faces severe water scarcity especially in the summer season as summer temperatures soar above the 40°C (104°F). 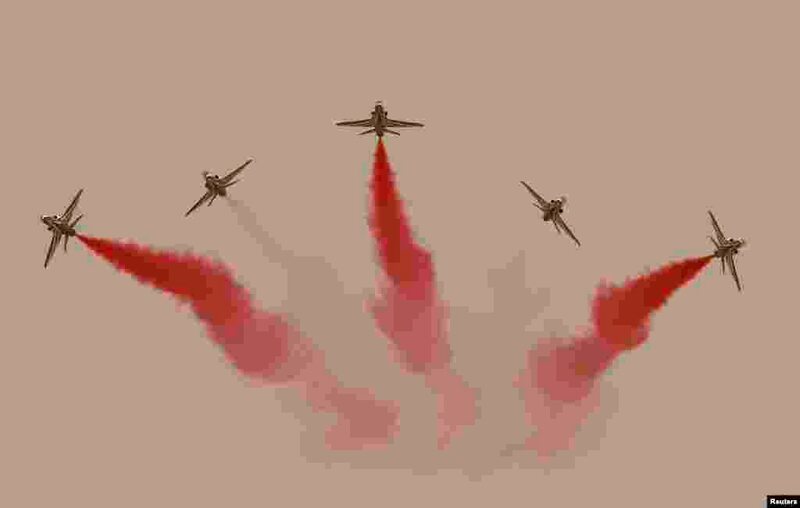 4 Jets perform during Saudi security forces' Abdullah's Sword military drill in Hafar Al-Batin, near the border with Kuwait.